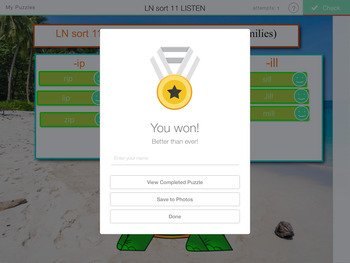 -A management system to push the StickerAround puzzles out to the student's ipad. 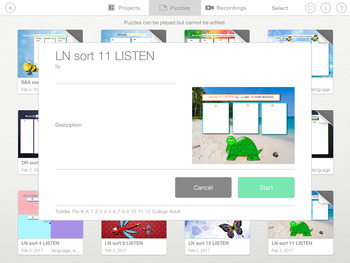 Sharing these files has been tested using Google Docs, Schoology, Dropbox and Edmodo. Directions are included for each of these. 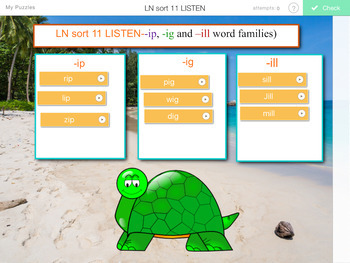 Before you jump in and purchase an entire set of word sorts, there is a free sort to let you see what you are getting plus lets you test pushing the file out to a student. That zip file includes LN 23 sort plus directions. 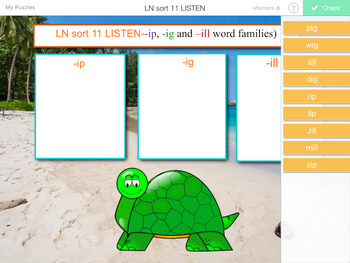 Any sorts in "Letter Names" with pictures contain only text and audio. Check out the example on the link below. So many of the activities out there to support WTW are teacher led or worksheets. Isn't it time for WTW to meet the iPad?! Letter Names include 25 sorts. Pricing is based on an approximate base price of 50 cents per sort. Please be considerate and do not share beyond your use with your students.